Anyways, the mood today is not really good. I went to the husband's family house with my colleagues to pay respects. Then hear some really sad stories about family deaths. What happened yesterday and today, really wakes me up, I need to be more thankful for everything in life. I don't want to complain anymore, how bad things might get, I believe God have something good planned for me. Thank you God for this amazing life. Oh, don't forget to always show your love to your loved ones. 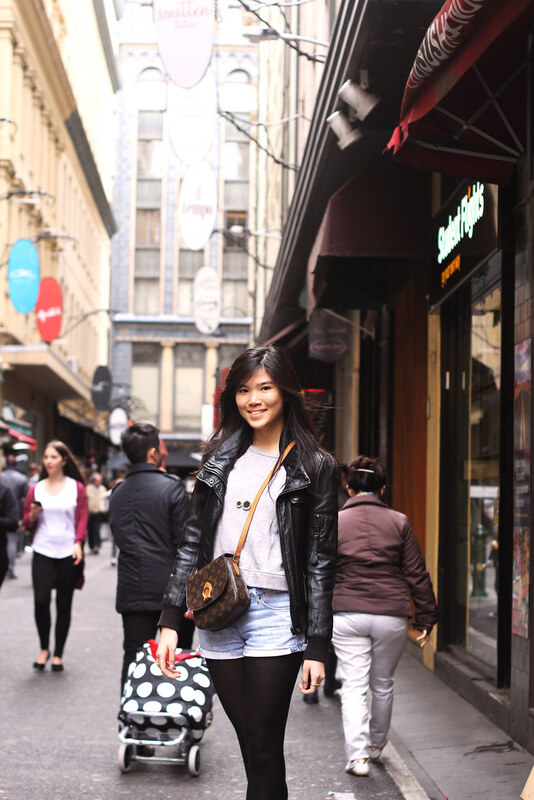 Treat other people like its their last day :) Be blessed everyone~ ZARA Leather Jacket / ZARA Grey Sweater / Sass&Bide Shorts / OASIS Tights / Melissa x Jason Wu Flats / Louis Vuitton Sling Bag / House of Harlow Necklace Flinders St. I'm sorry to hear that. Wishing all the best for her too. agree, we have to be thankful each day. God is good! i wouldn't know what to do too if one of my loved ones will go just like that... ahh... be grateful in everything... agreed :) no more words needed. Sorry to hear about your friend and her husband, deep condolence from me. 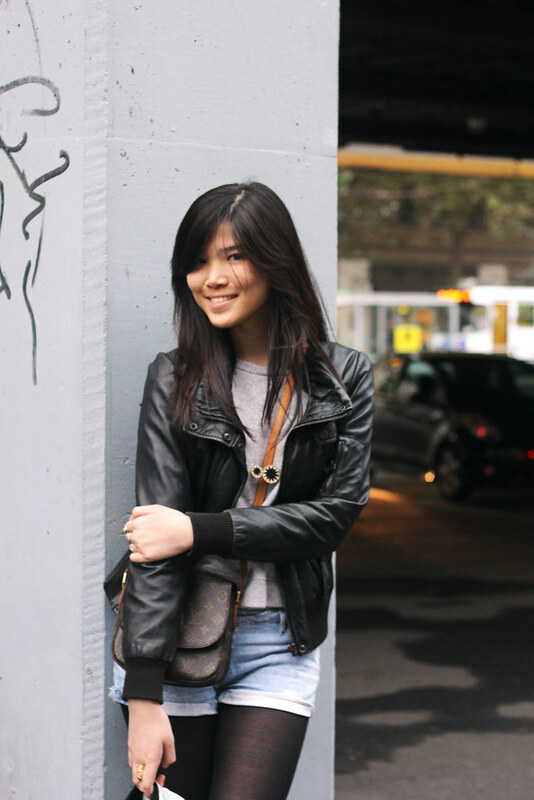 I love the LV sling-bag, you rock! reallu love your leather jacket! Wow this looks so much like Melbourne's laneways! Deepest sympathies to the mourning family x misstea & co.
And I'm so sorry to hear that. Wish all the best for your colleague. What an awful Monday...on another note, I love your look. aww you look beautiful :) 화이팅!! oh. i'm so sorry to hear that mbak carol, but you outfit was so Bad boy's video inspiring isn't?? :) cool! i'm so sorry to hear that,.. ah, your outfit was so Bad Boy video inspired isn't?? cool! deepest condolences for your colleague ci :( i know that we should always be grateful for everything.. because out there, some people have to struggle more than we have to.